Hellions have announced their brand-new album ‘Rue’ today, set for release on October 19 via UNFD. ‘Rue’ follows on from their critically-acclaimed theatrical masterpiece ‘Opera Oblivia’ – which debuted at #4 on the chart in 2016 and was nominated for an ARIA award that same year. The latest single lifted from the collection is ‘Smile’. Following on from previously released singles ‘X (Mwah)‘ and ‘ Furrow‘, ‘Smile’ was born late in the creation process and is a dynamic, upbeat tune built around the refrain “I’m ready to run, are you ready?” that provides a tongue-in-cheek look at the depth of our interactions in the digital age. Click below to listen to ‘Smile’. How can we overcome our struggles with one another if we don’t fully understand the one raging inside ourselves? 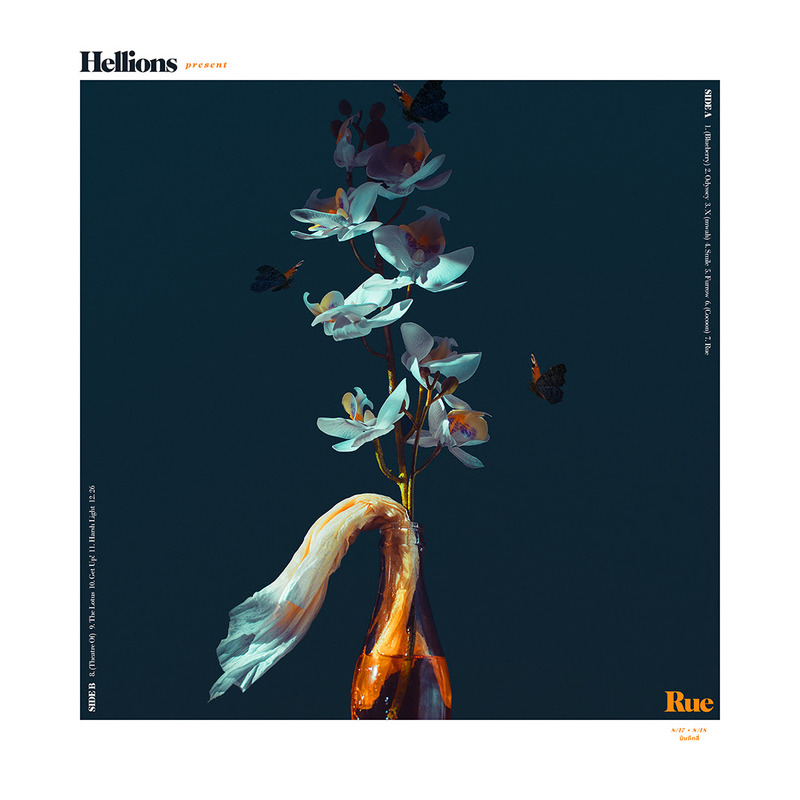 It’s this very question Hellions explore on ‘Rue’ and there’s never been a better time for an album that explores this tussling duality the band describe as “the co-existence of a Jekyll and Hyde operating within a person at any one time”. ‘Rue’ builds upon the marriage of theatrical dynamics and thoughtful lyricism that defined the genre-melding Australian quartet’s critically acclaimed previous offering, 2016’s third collection ‘Opera Oblivia’. The resulting record is deeper and darker, with melodies that are more beautiful, and riffs that are more seismic. The tracks on ‘Rue’ are divided into the ‘pessimistic’ and ‘humanitarian’ sides of life. Opening tracks ‘Blueberry’ and ‘Odyssey’ deal with the former, examining how the high consciousness we possess has led to a culture of egocentricity and opportunism, though it’s accompanied by jaunty, bombastic guitars reminiscent of ‘Black Parade’-era My Chemical Romance. It’s safe to say ‘Rue’ is an album in which message and music are often tonally juxtaposed, requiring the listener to really listen. So while the funky, danceable ‘X (Mwah)’ is actually about abandoning hope in favour of recklessness, ’26’ is a rousing anthem about the quest for happiness. To bring the remarkable sonic scope to life, Hellions returned to the serenity of Karma Sound Studios in Thailand and their producer Shane Edwards – a man Hellions have worked with for a decade and describe as “our fifth member”. ‘Rue’ is a timely record that calls for an end to complacency. Whether it’s for its remarkable music, or its powerful messages – it needs to be heard. 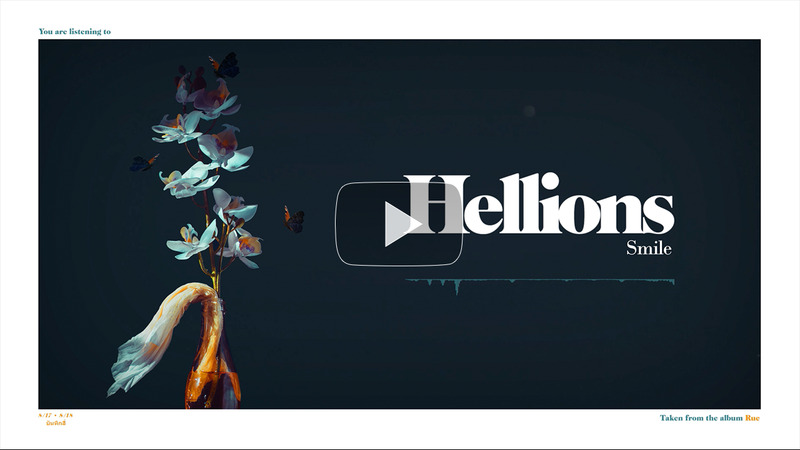 Hellions – ‘Rue’ is available for preorder via 24Hundred and iTunes. ‘Smile’ is out now and available on all streaming services. Hellions – Rue is out October 19 via UNFD.